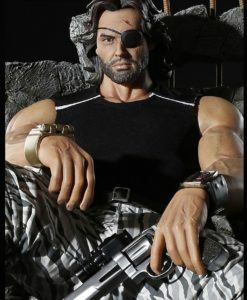 Earn 899 Points with this purchase! 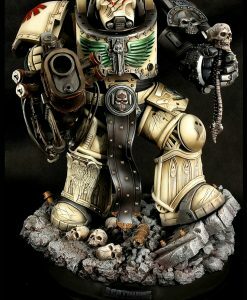 Pay now the full amount of £898.99 Shipped as soon as we recieve your payment. 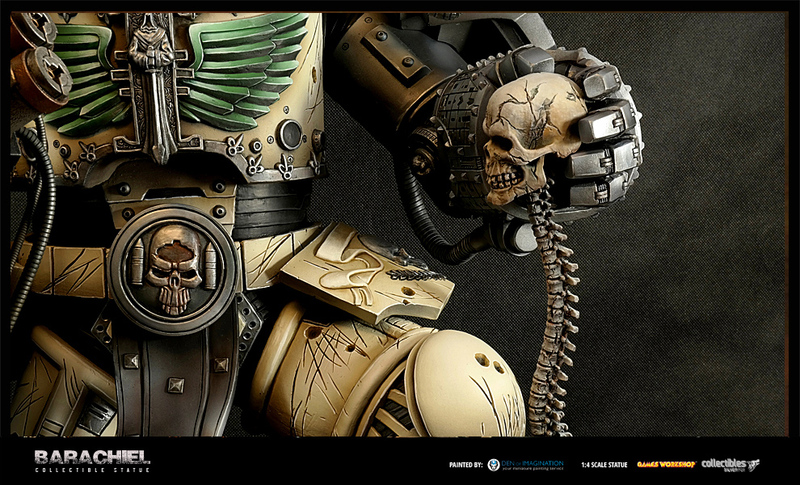 See above for delivery details. 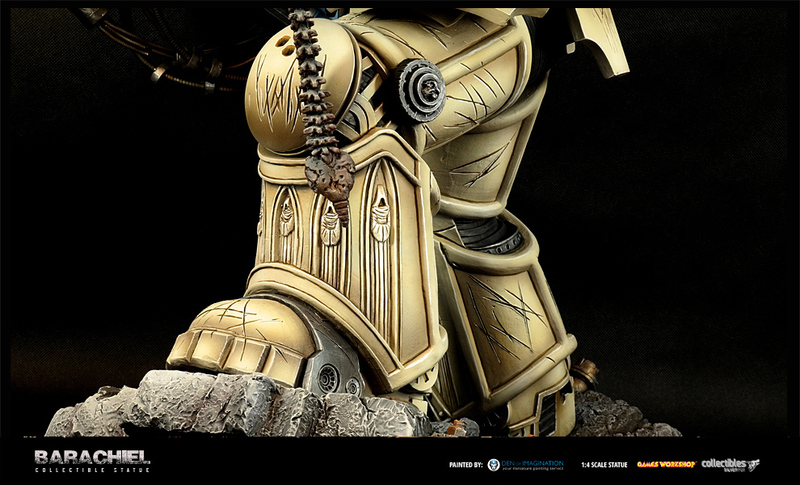 6 Monthly Instalments of £149.83 Spread the cost of your purchase over 6 months. 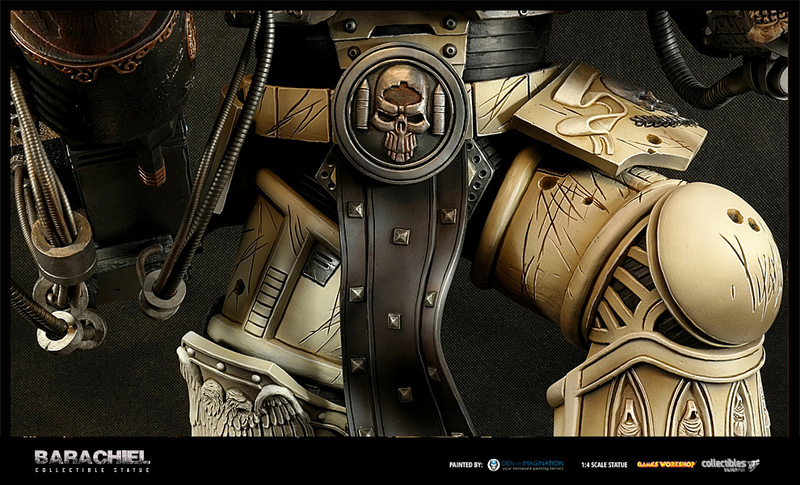 12 Monthly Instalments of £74.92 Spread the cost of your purchase over 12 months. 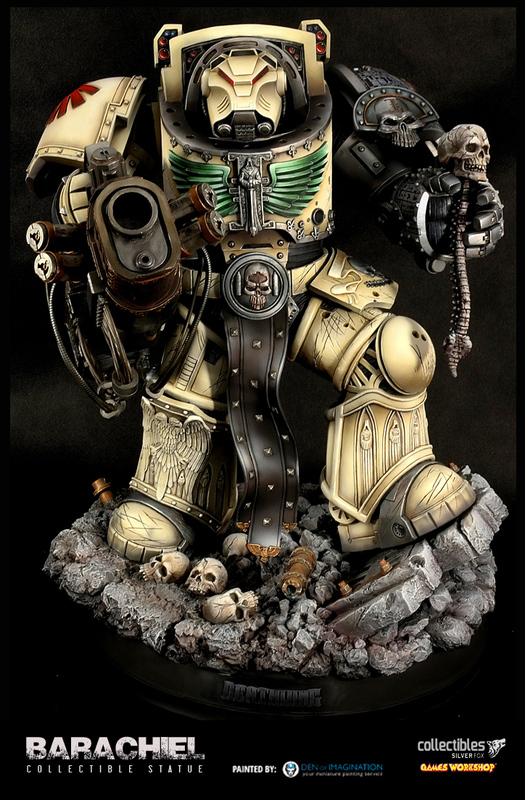 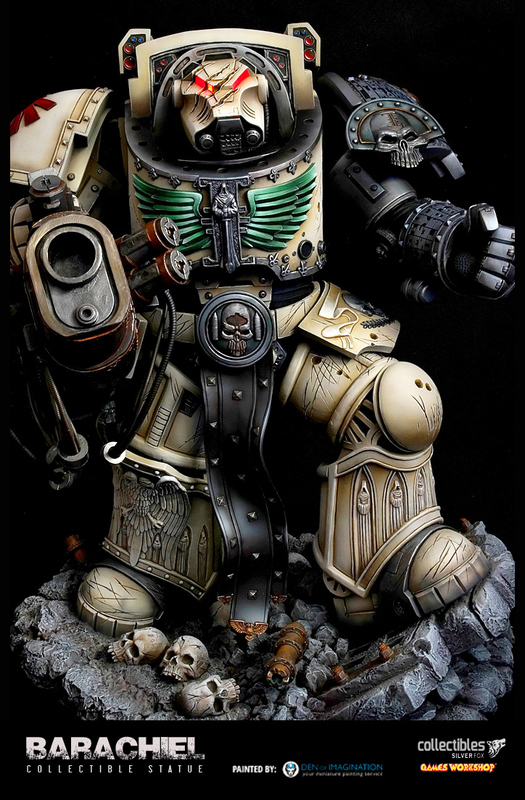 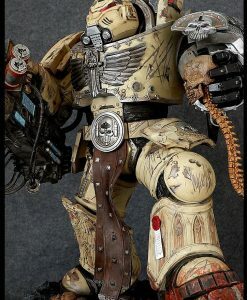 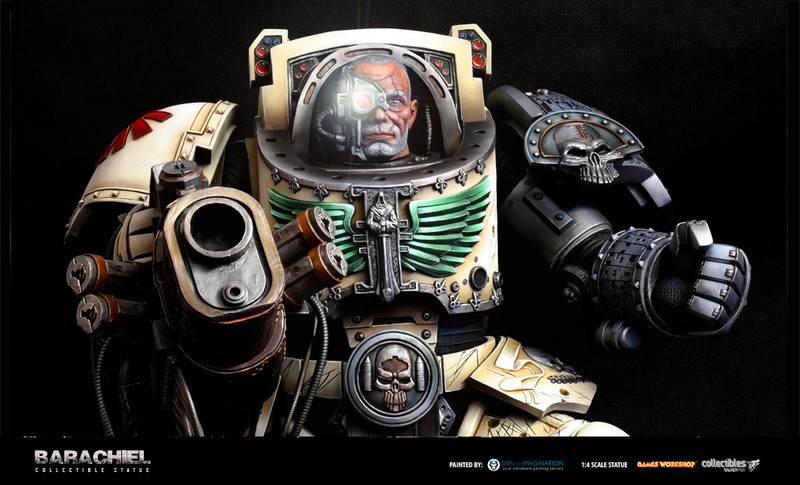 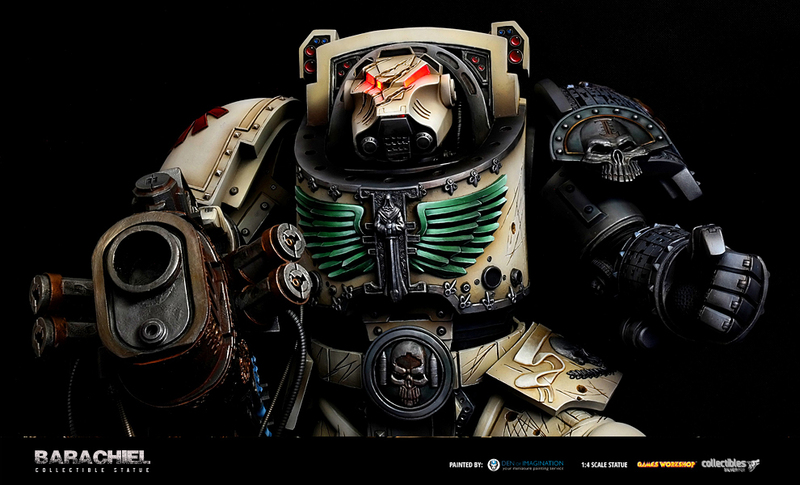 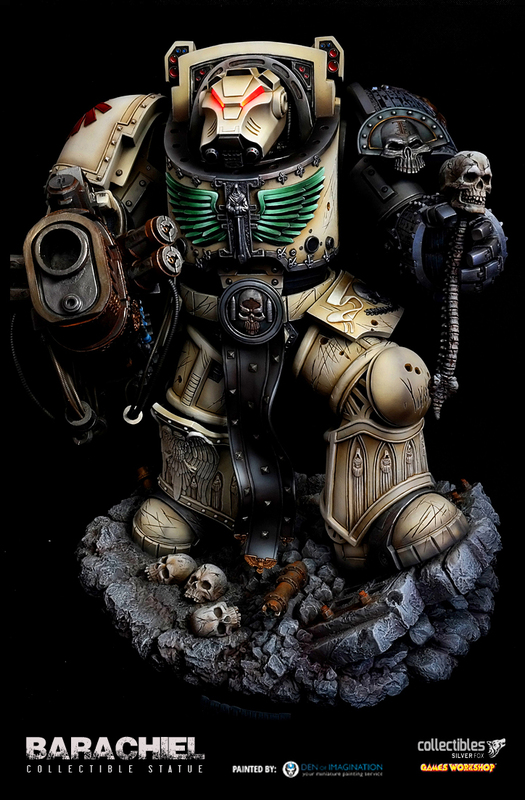 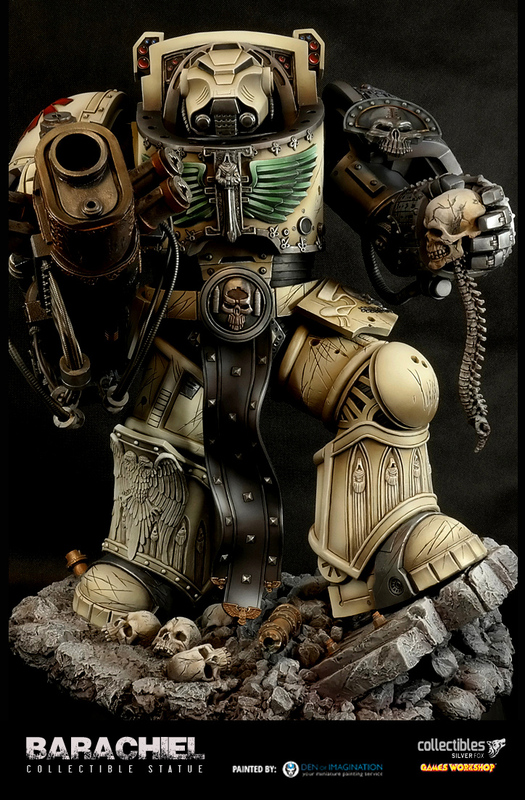 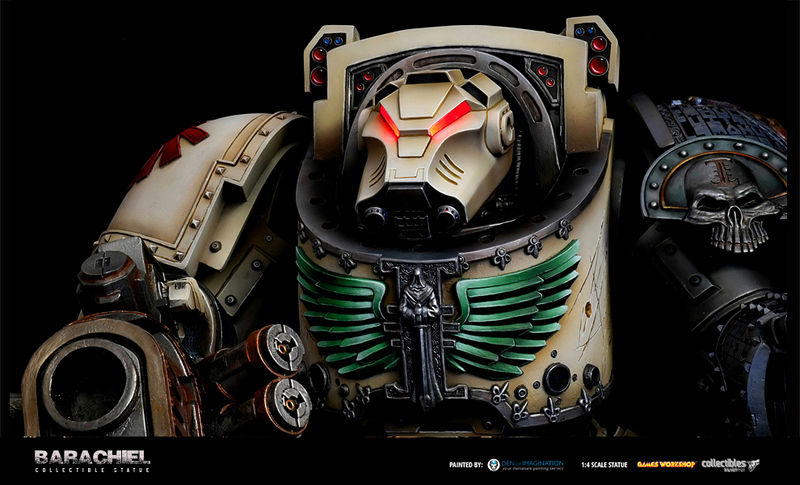 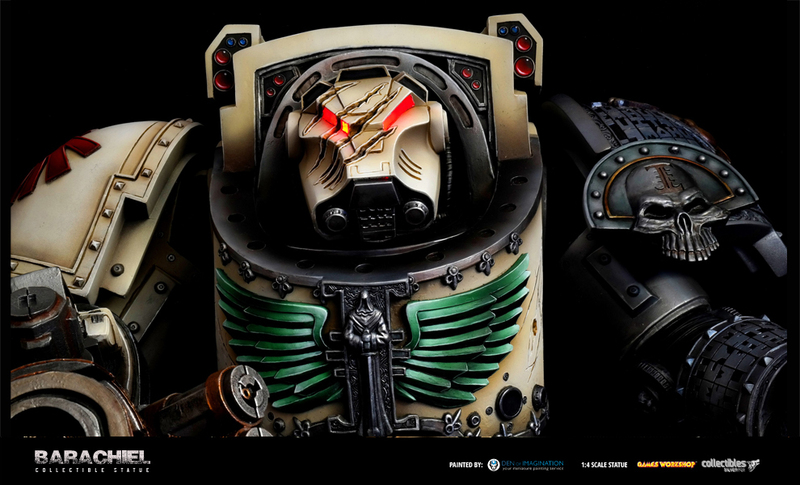 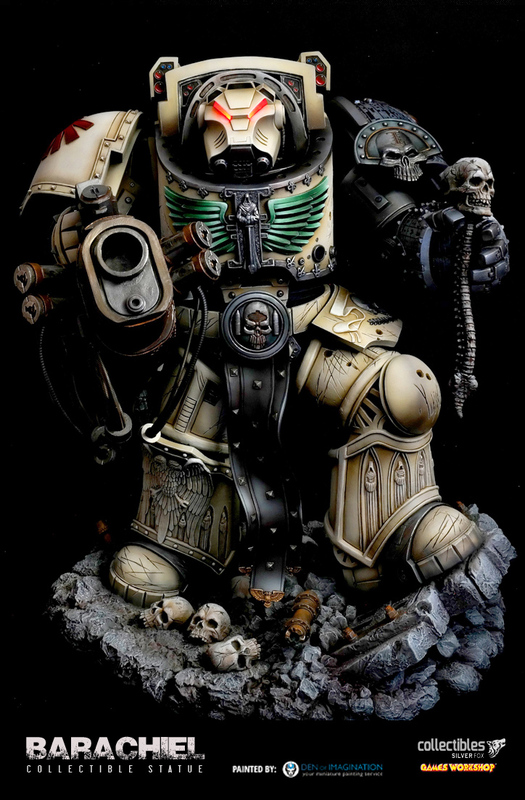 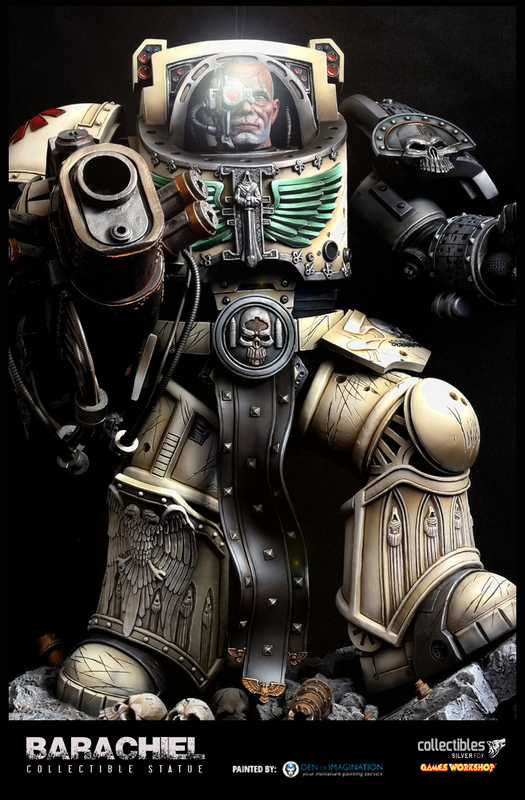 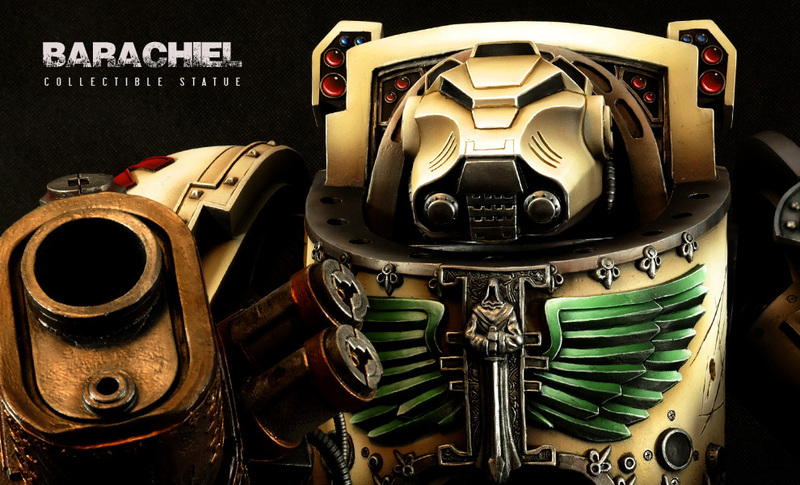 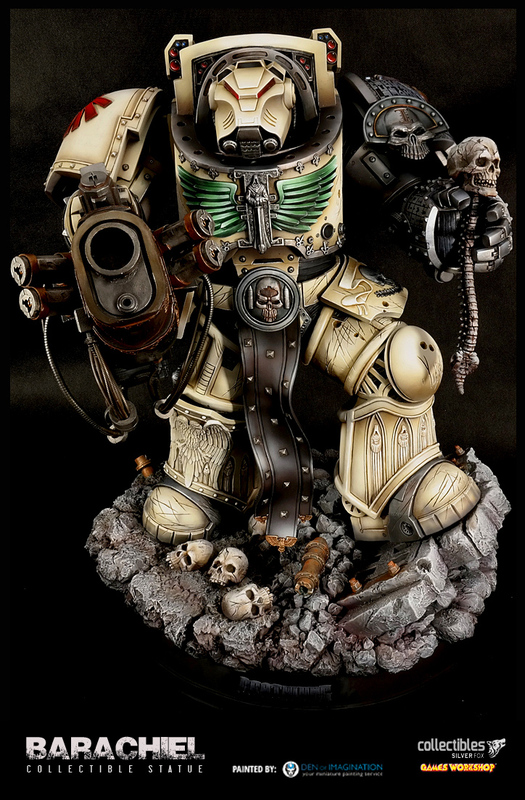 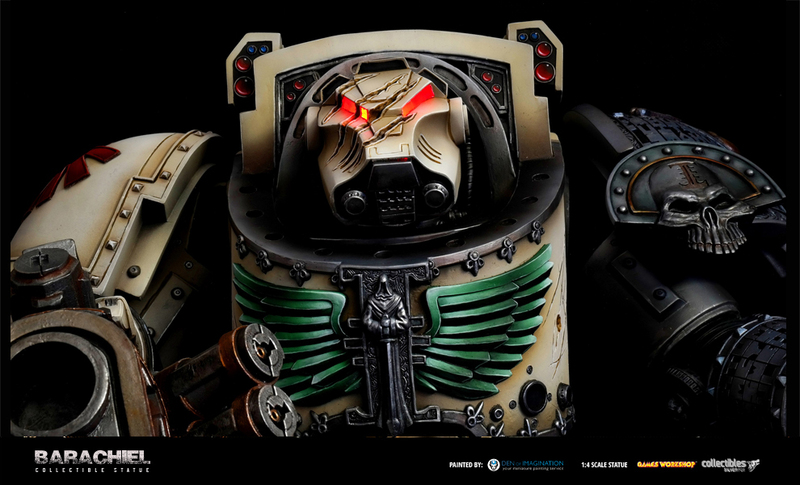 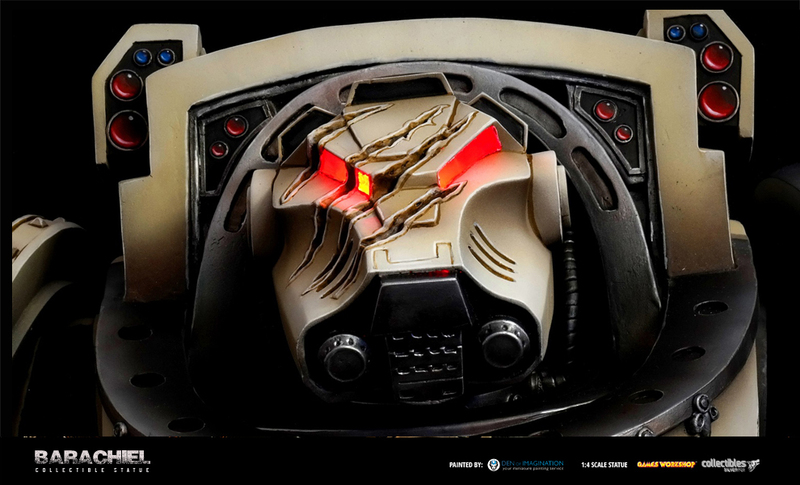 Officially Licensed 1:4 Scale Statues of Deathwing Terminator Barachiel from the Warhammer 40k Universe. 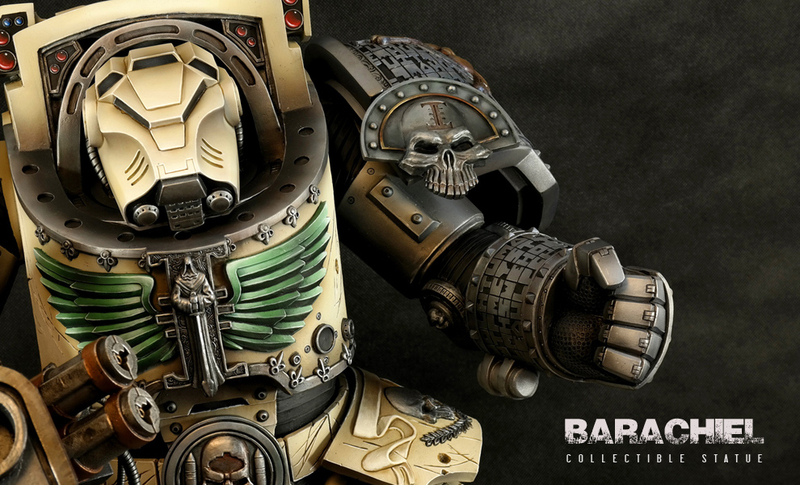 Officially Licensed 1:4 Scale Statues of Deathwing Terminator Barachiel from the Warhammer 40k Universe. 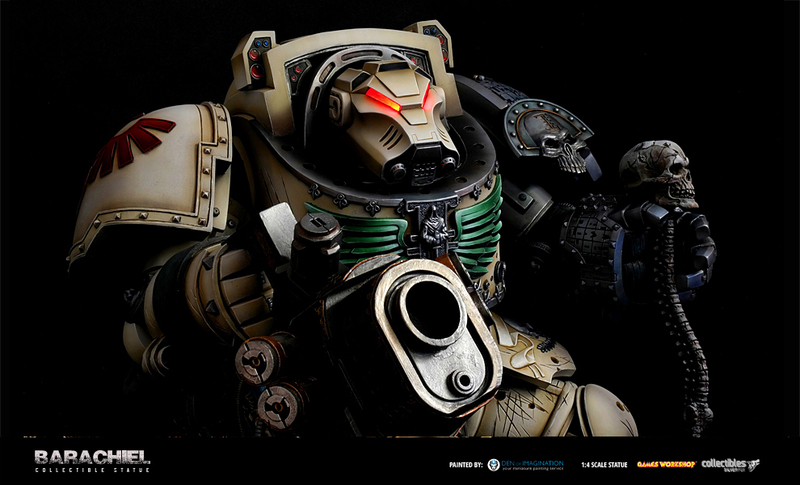 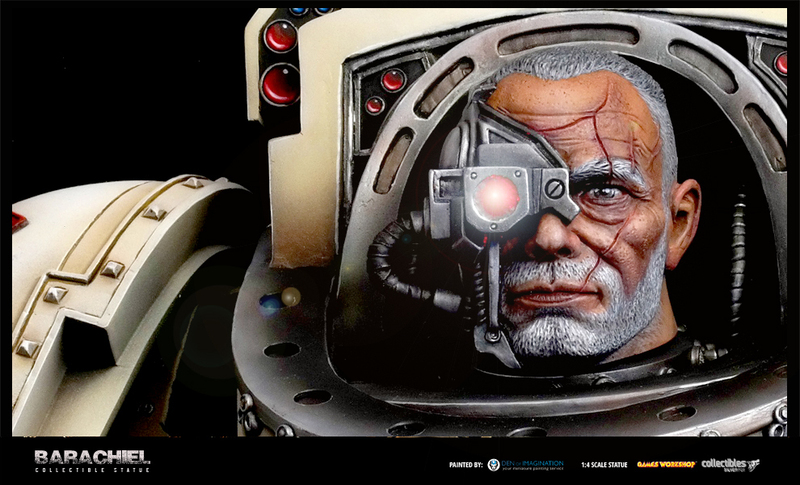 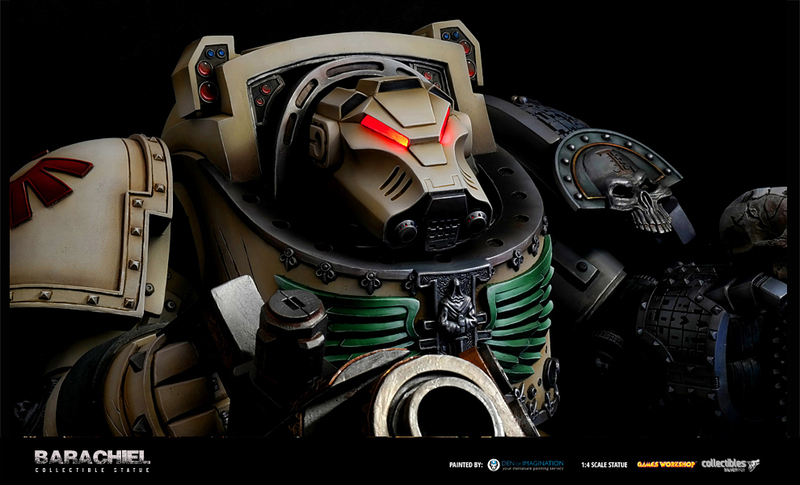 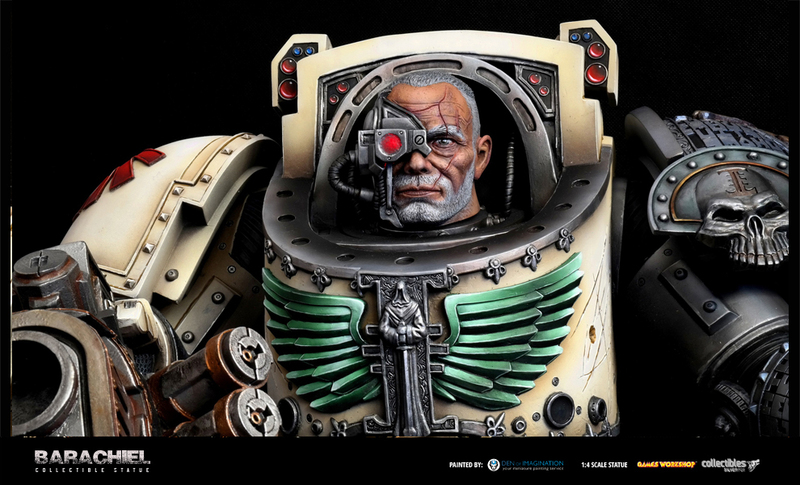 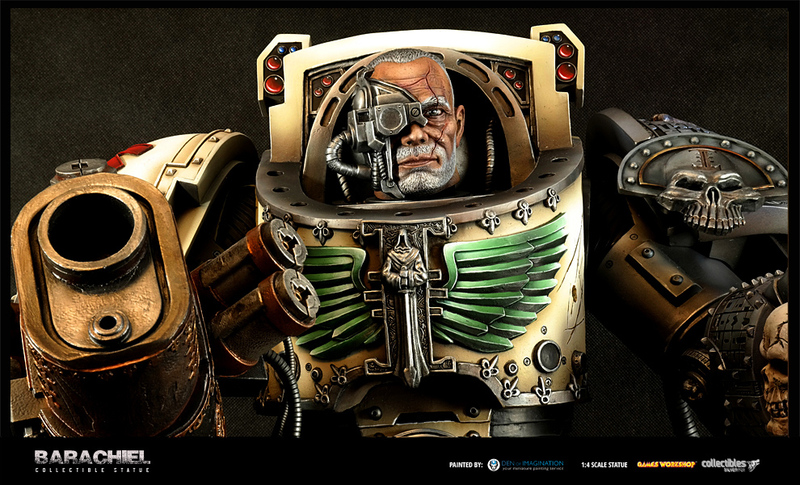 Silver Fox Collectibles are delighted to announce the incredible license with Games Workshop, to create a series of 1:4 Scale Collectible Statues & Busts. 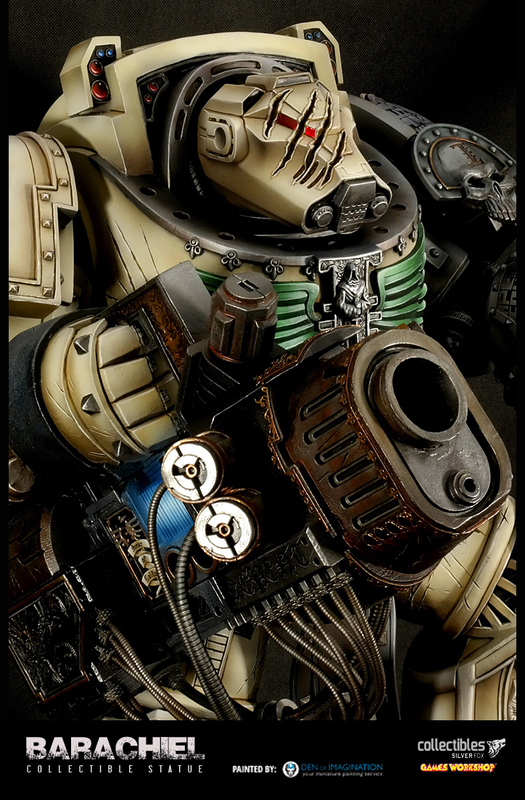 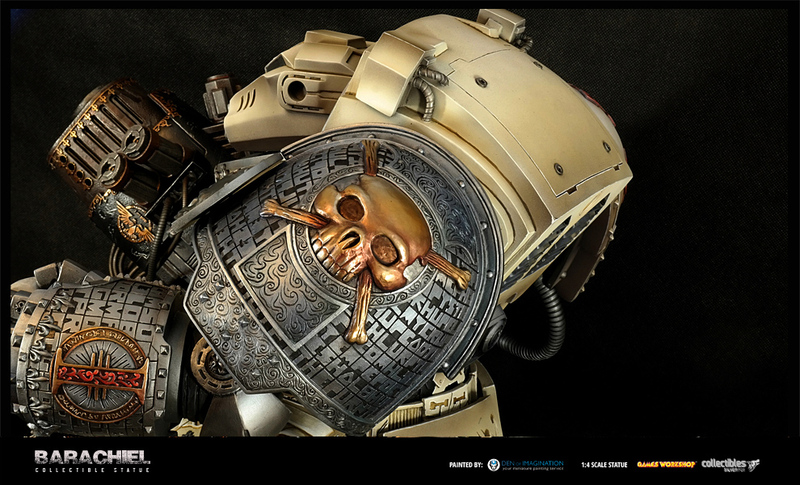 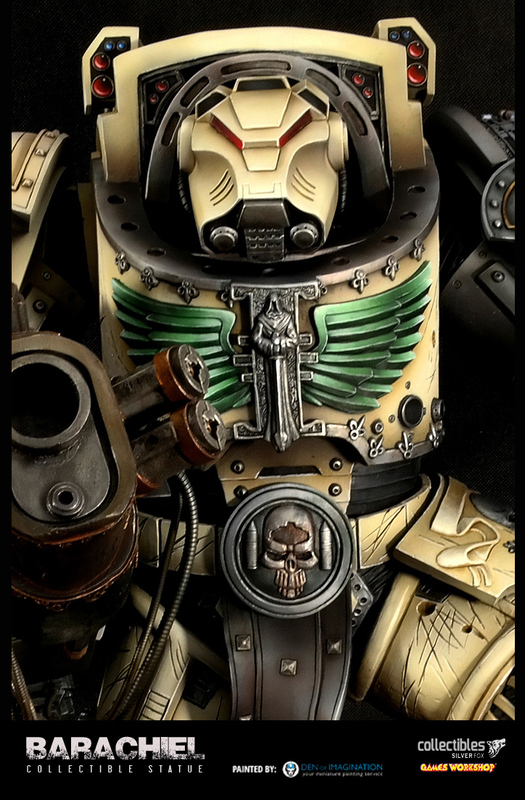 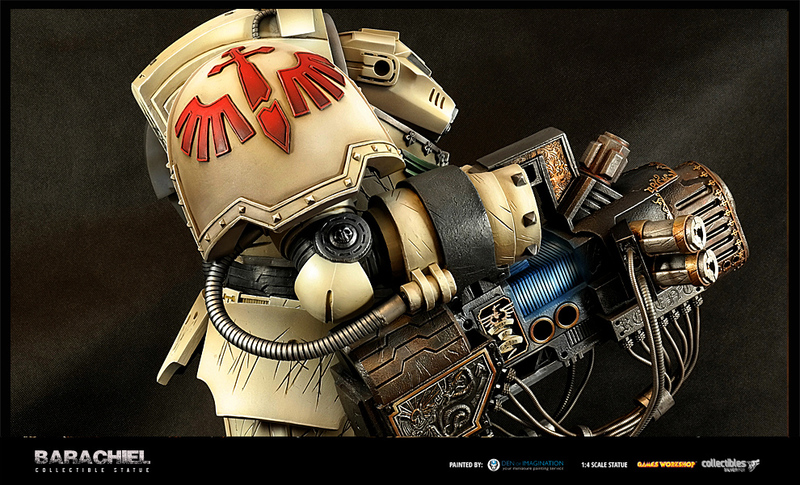 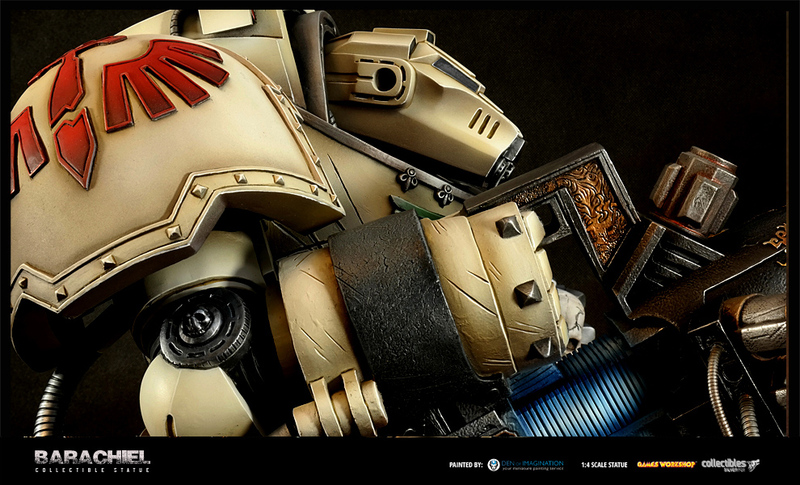 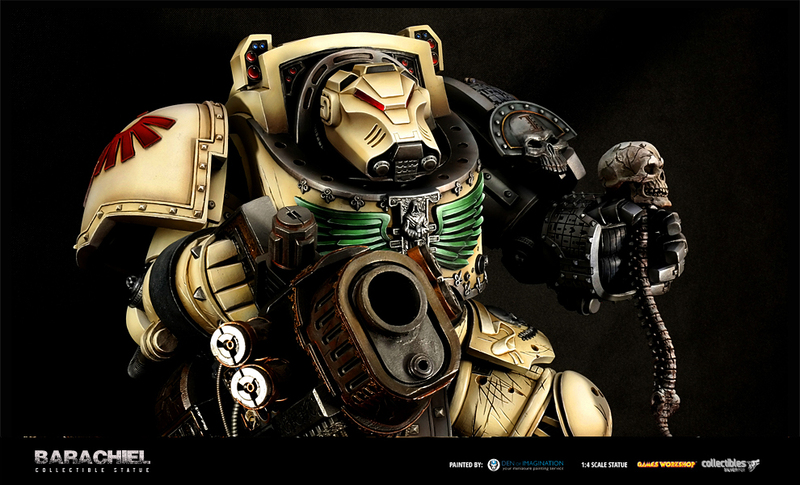 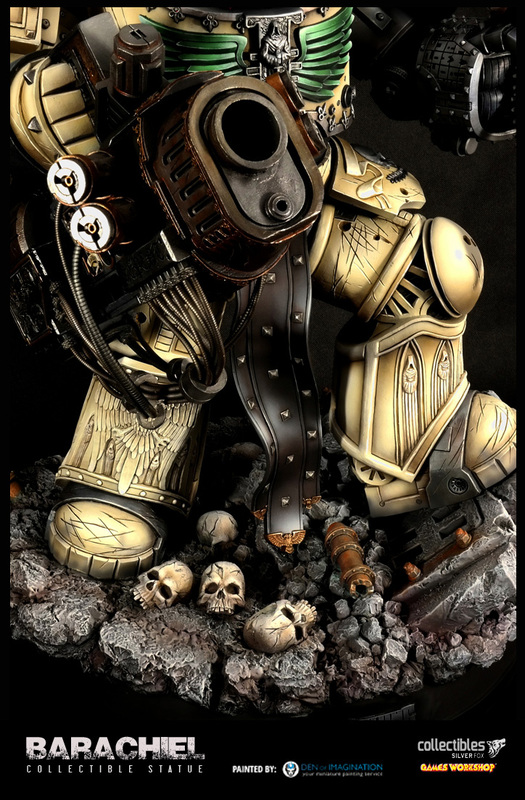 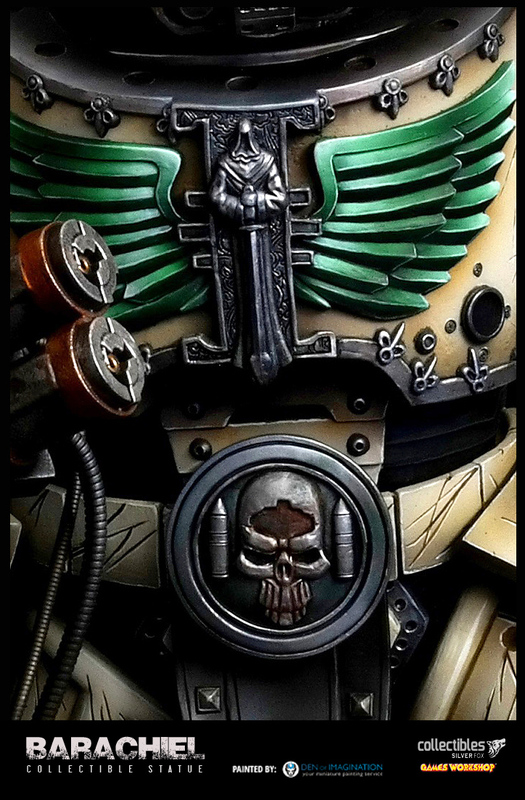 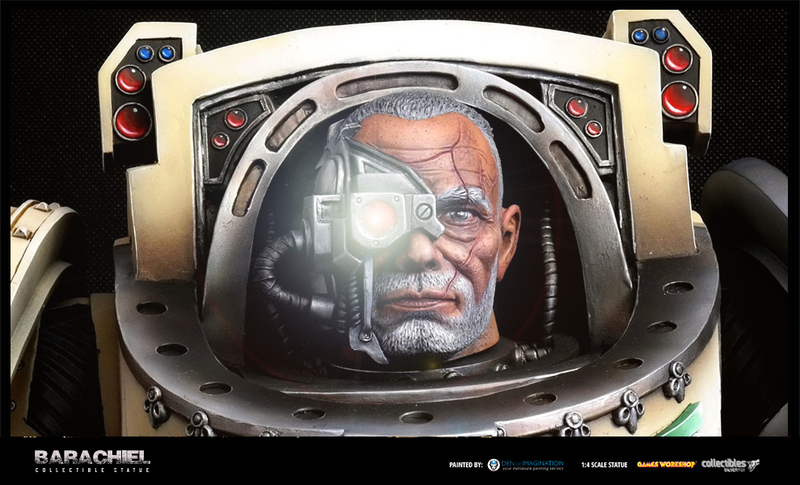 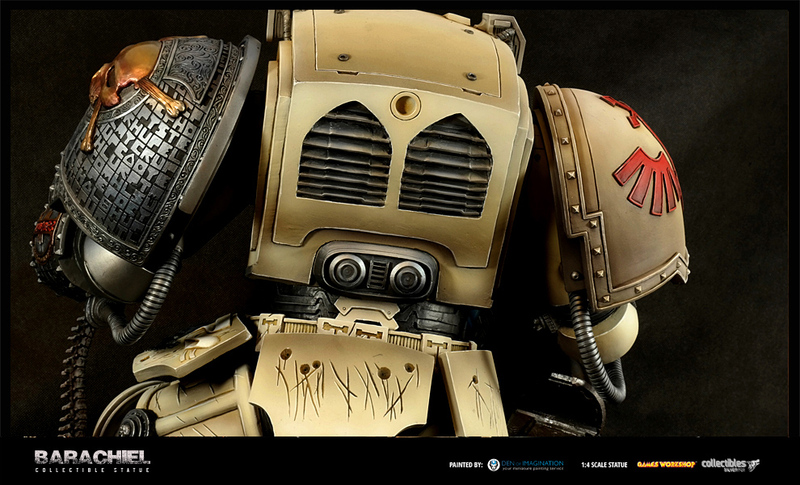 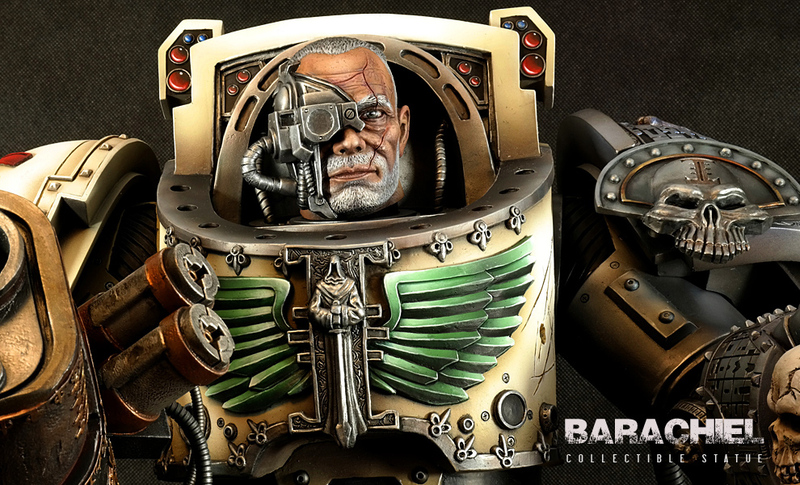 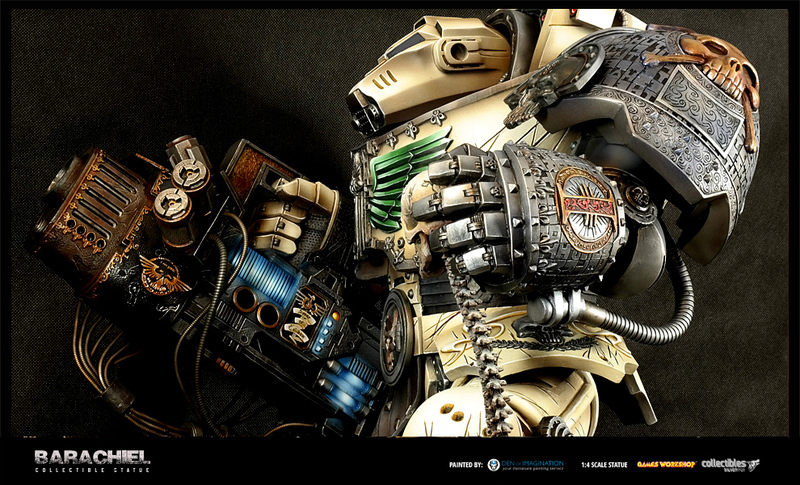 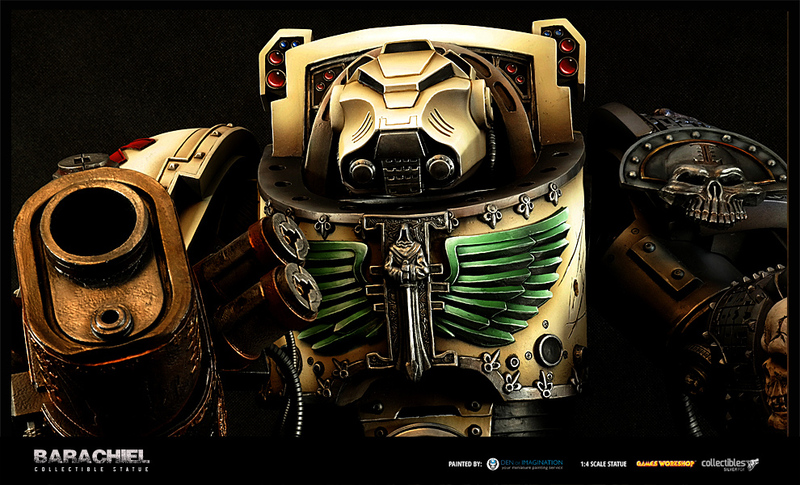 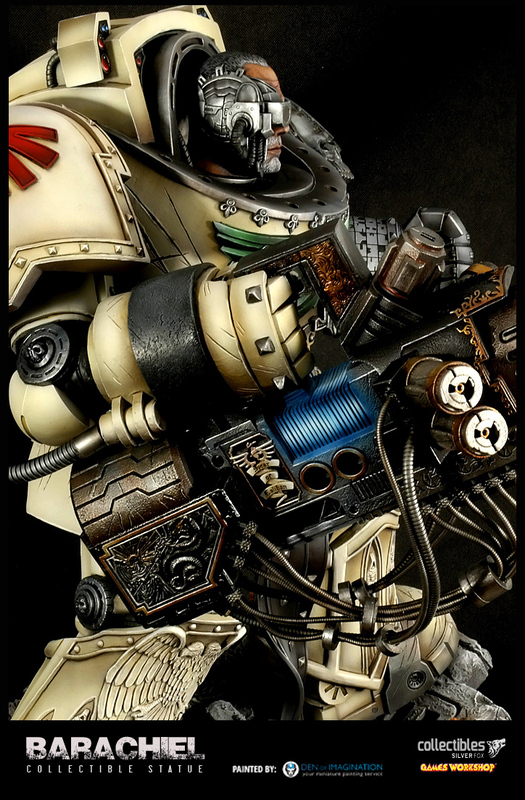 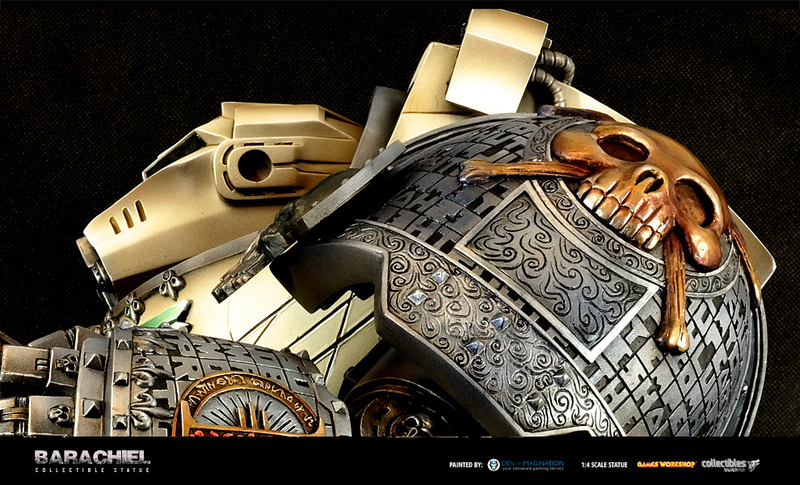 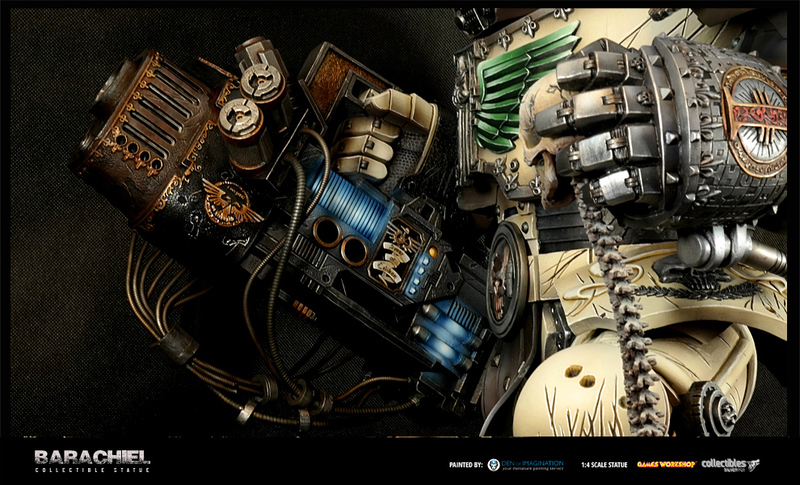 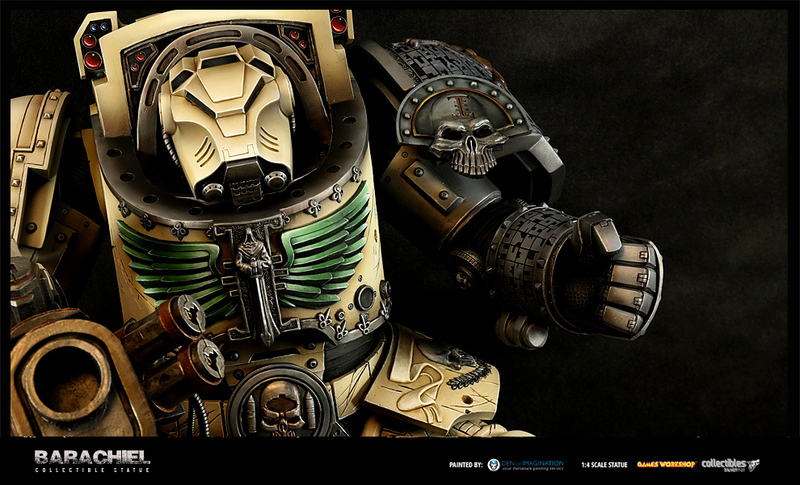 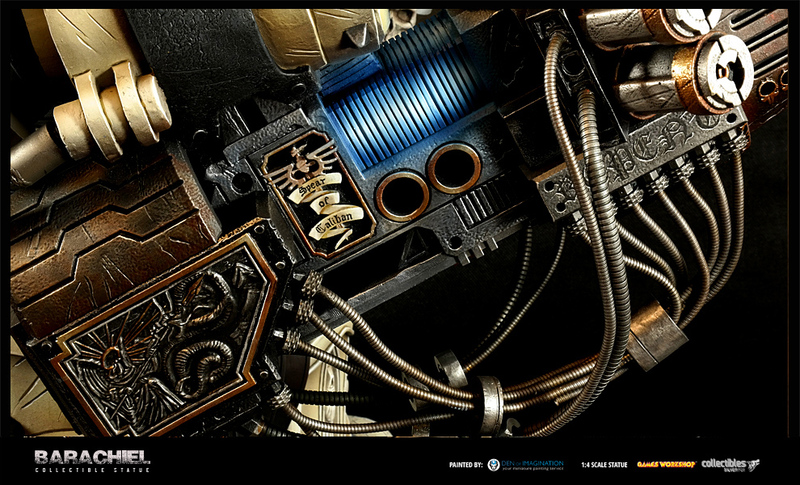 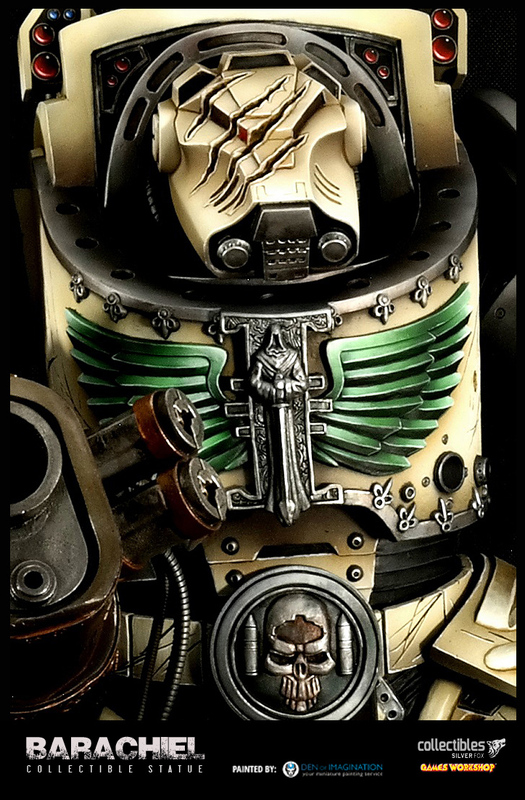 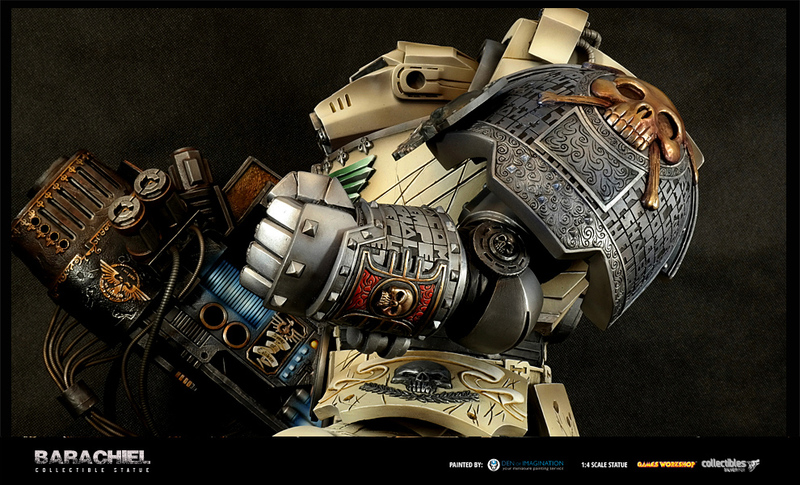 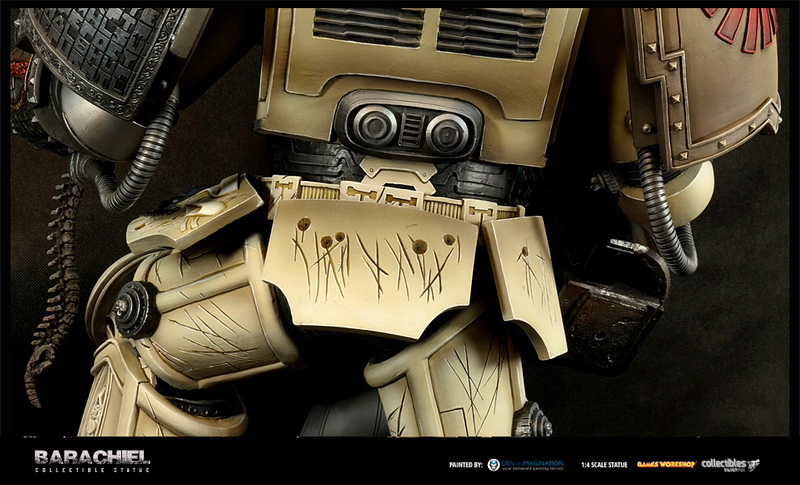 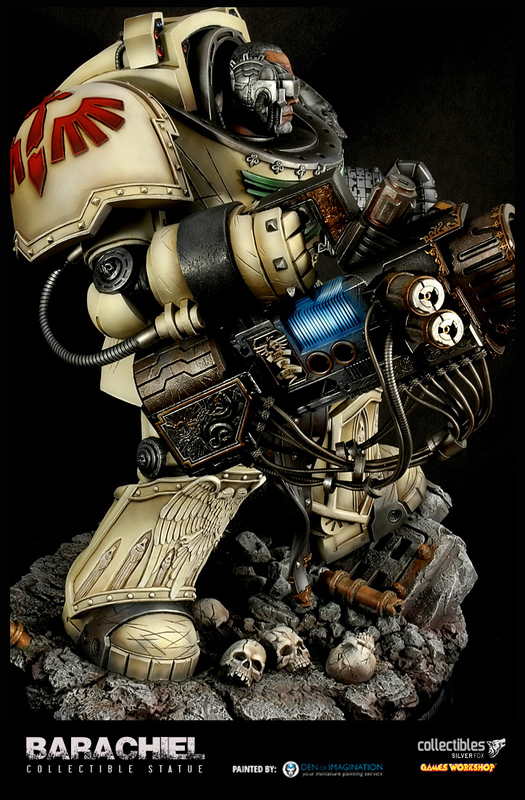 Our forthcoming series will include some awesome Space Marine Terminators, including Knights, Librarians & others. 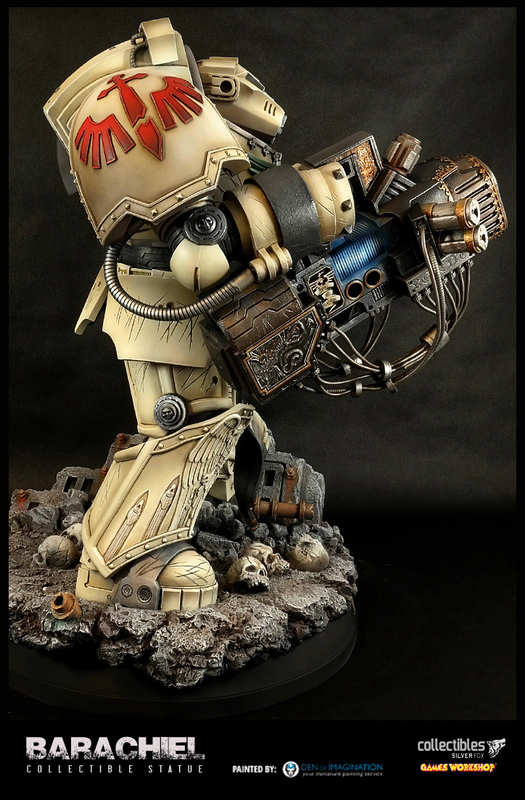 Also we will be bringing to this scale the terrifying myriad Genestealer bio morphs to create a unique and stunning range of statues that will look awesome on their own, but amazing when put together with their formidable enemy to make a terrifying but beautiful diorama. 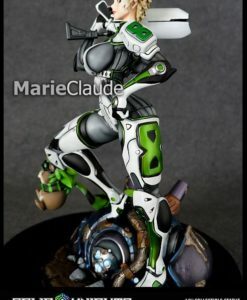 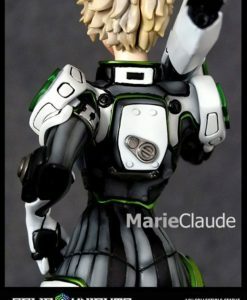 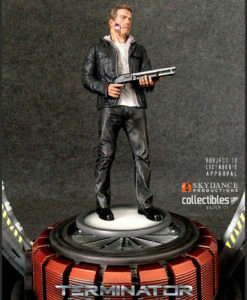 This first statue in this series is Barachiel the squad’s Heavy Weapons Specialist. 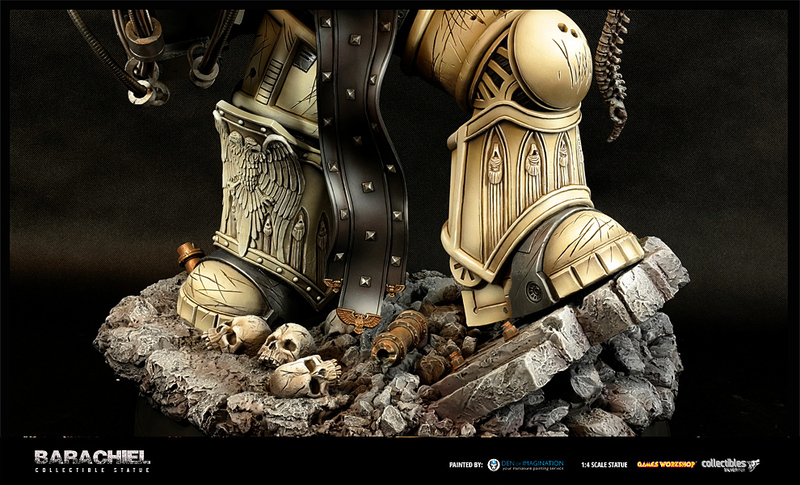 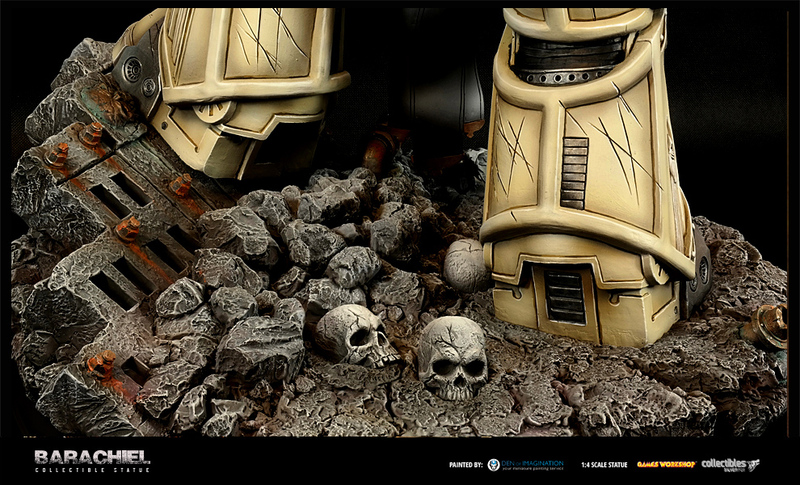 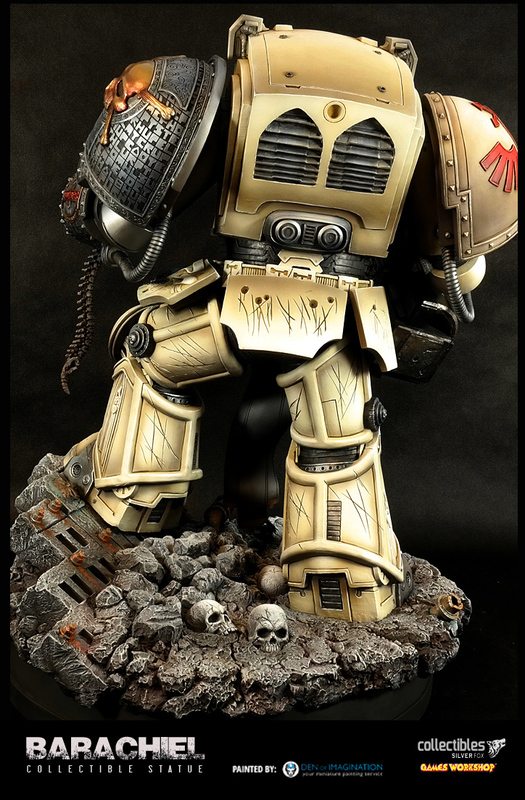 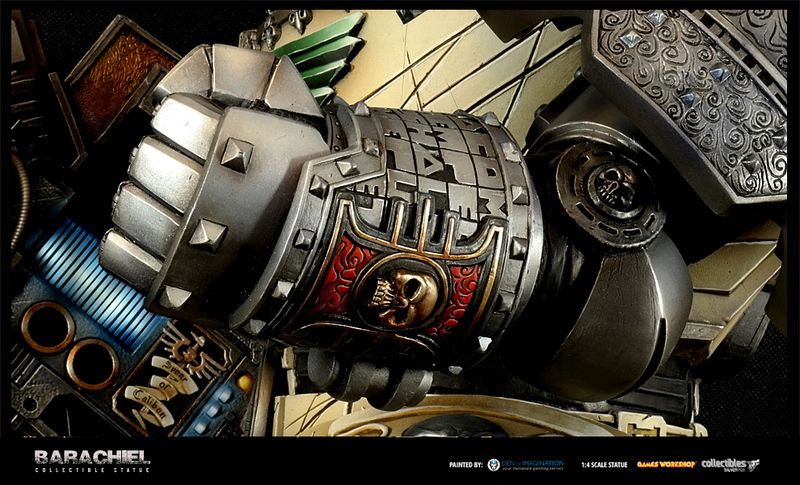 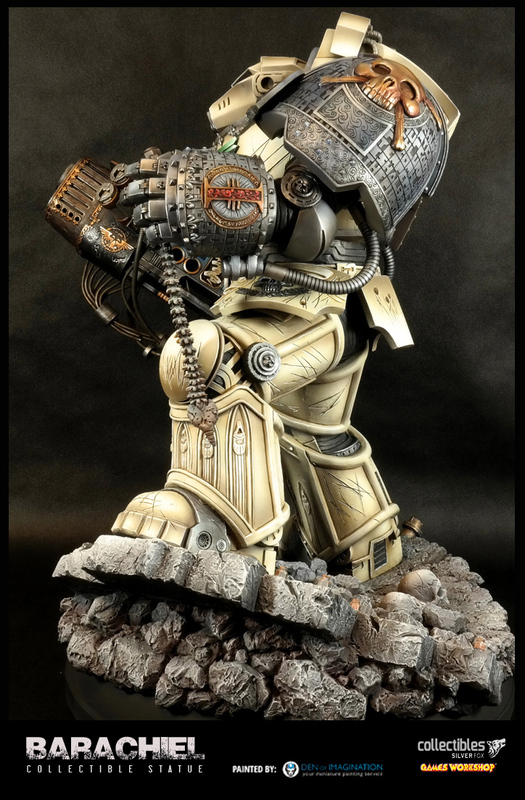 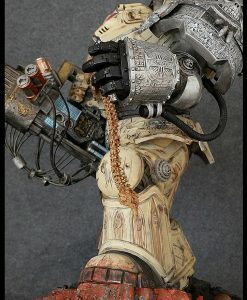 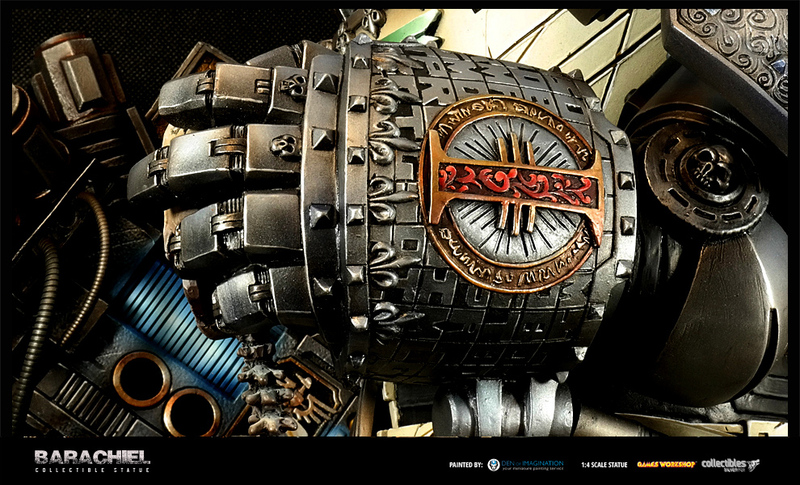 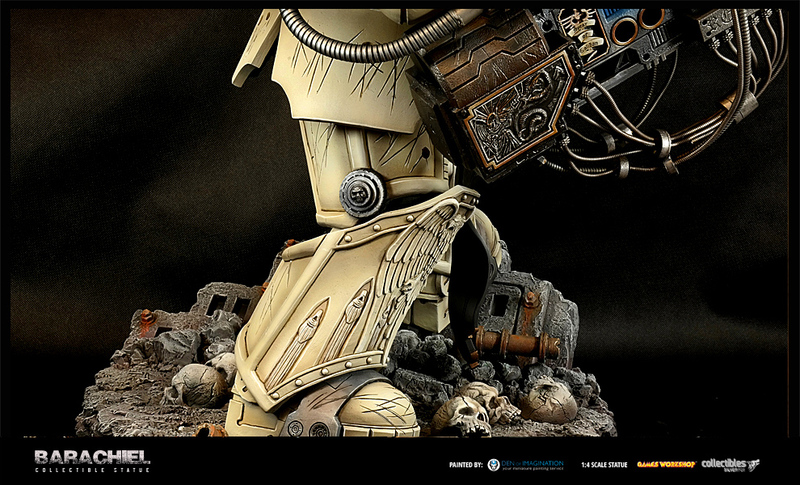 The statue will stand an awesome 24” tall and is mounted on a highly detailed base with rock and debris from the Warhammer 40,000 Universe. 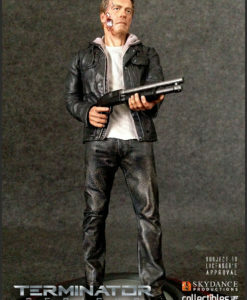 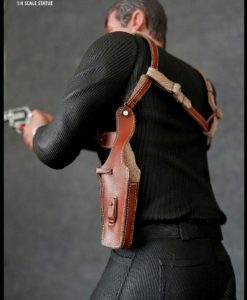 £740.05 Estimated Release: August 2019. 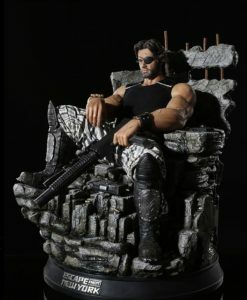 £535.32 Estimated Release: August 2019. 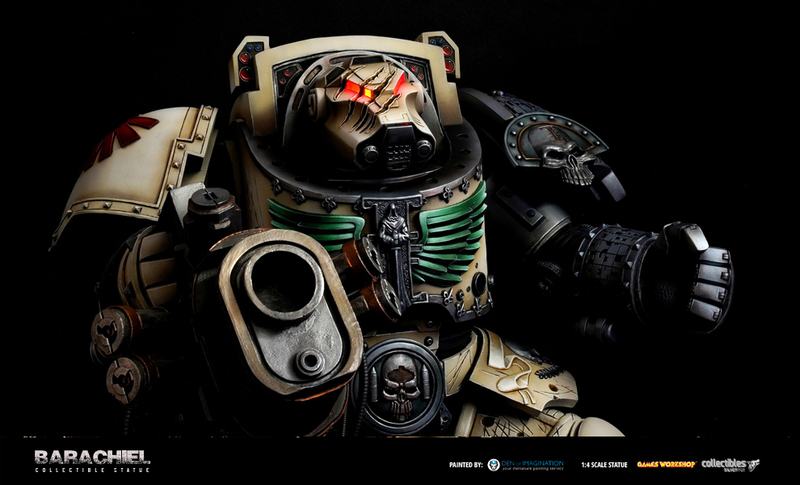 £259.26 Estimated Release: August 2019. 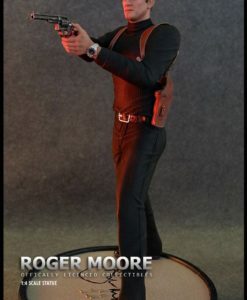 £156.75 Estimated Release: August 2019. 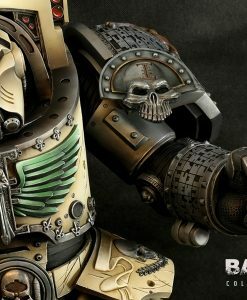 £831.25 Estimated Release: May 2019.